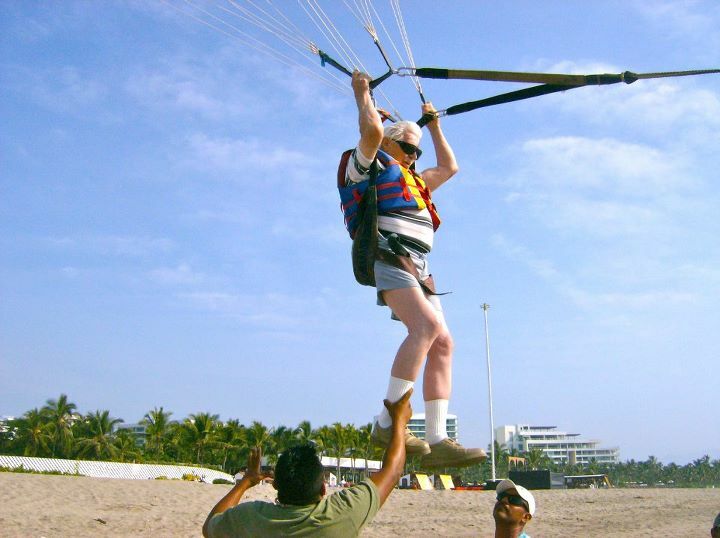 Ed Burl, member at the Grand Mayan Nuevo Vallarta, in Riviera Nayarit, took his first parasailing ride right here! Ed is 91 and has "always want to do it and well, I'm not getting any younger!" He now holds the record on the beach for the oldest person to parasail!